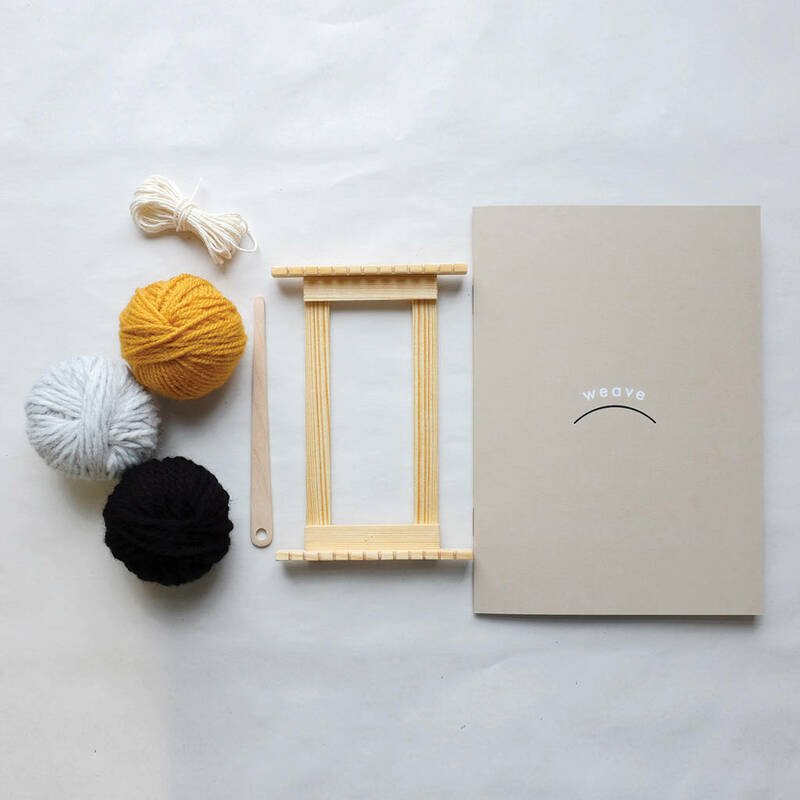 A perfect starter weaving loom kit complete with tools & wool. 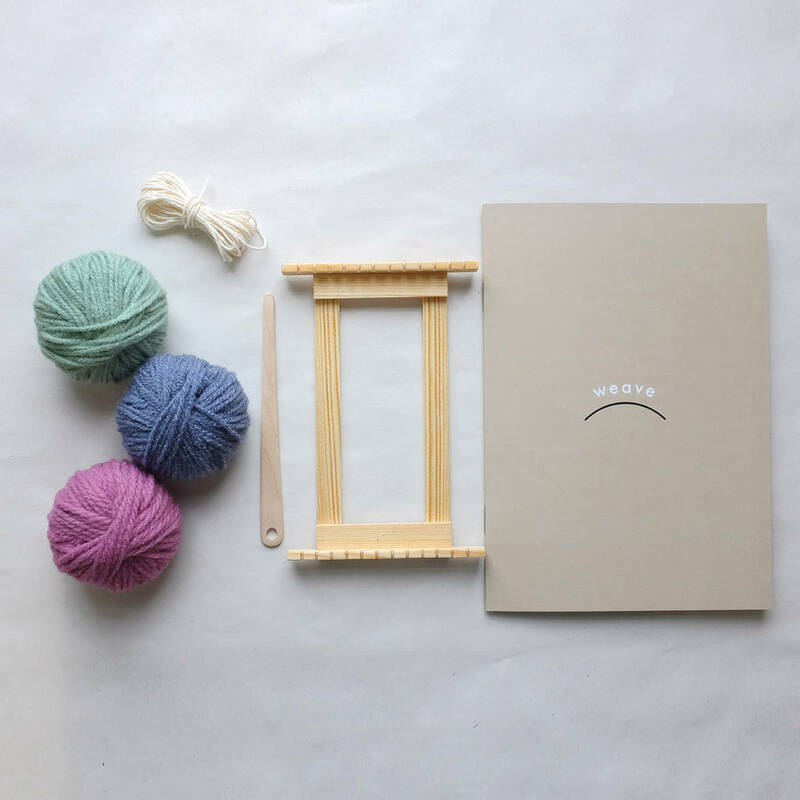 This beautiful Mini Weaving Loom Kit is the perfect gift for creative crafters, designed with children and travellers in mind. 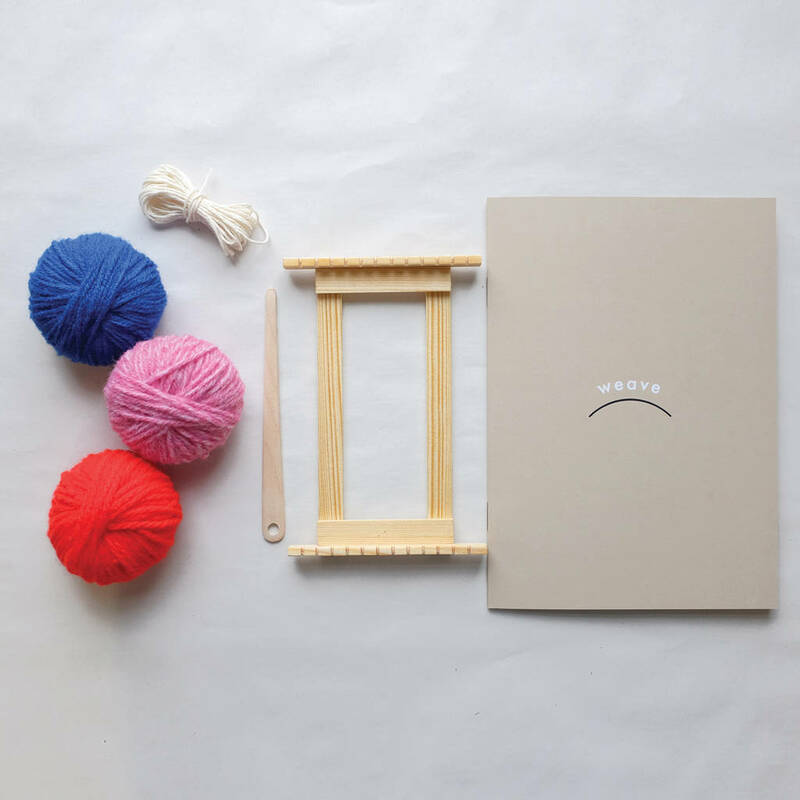 This easy to use beginners weaving kit is a great first step into the wonderful world of weaving, and comes complete with all the necessary tools to teach yourself. 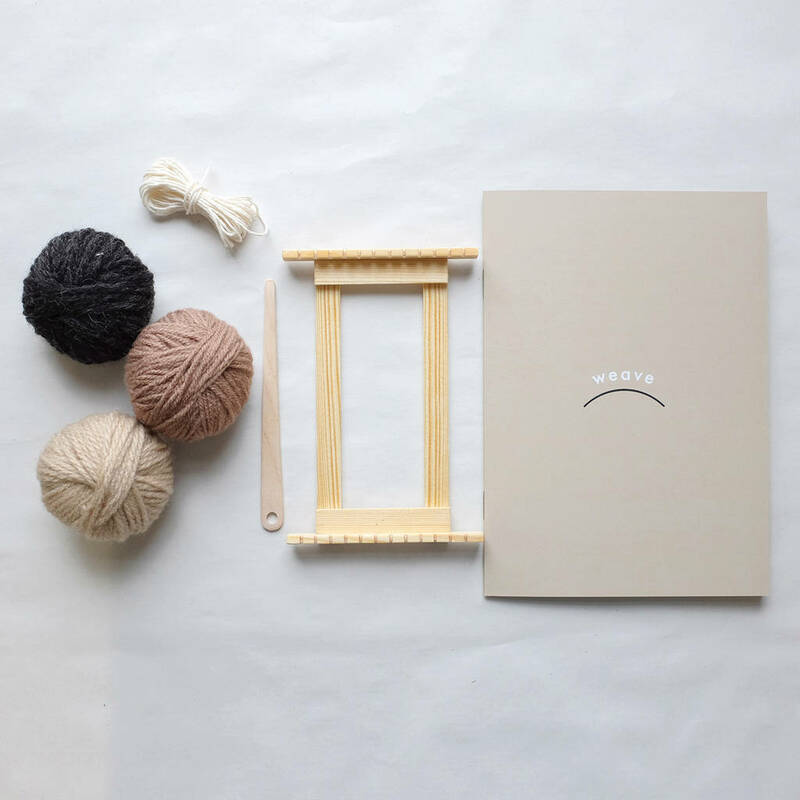 The kit includes a beautiful hand-crafted wooden loom, a wooden needle, instruction guide, cotton warp thread and a selection of wools to experiment with. All packaged in a fun cotton bag with the option to personalise with a name printed in the logo. The completed weavings can be used as little wall hangings, coasters or even accessories for dolls houses. 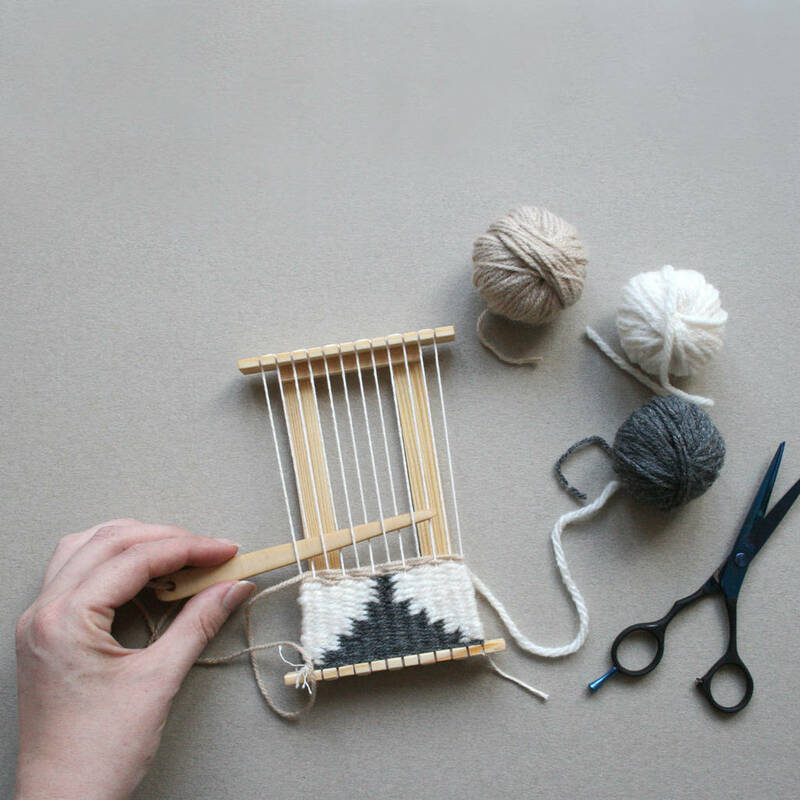 This small loom size was created with children in mind, as well as globe trotters and holiday makers who want to weave on the go. From multi-coloured brights to subtle neutral tones, you can personalise this kit with a choice of wool colours. We have four colour palettes to choose from: Spectrum, Muted, Grayscale & Earth. Spectrum: Bright and bold blue, red, yellow, pink and green. Muted: Soft and subtle lavender, cream, sage, denim & mustard. Grayscale: Scandinavian colour palette of black, charcoal, cloud, white and mustard. Earth: neutral and natural beige, biscuit, chocolate, charcoal and cloud grey. We can also personalise the cotton bag by including the lucky recipients name within the logo, eg. 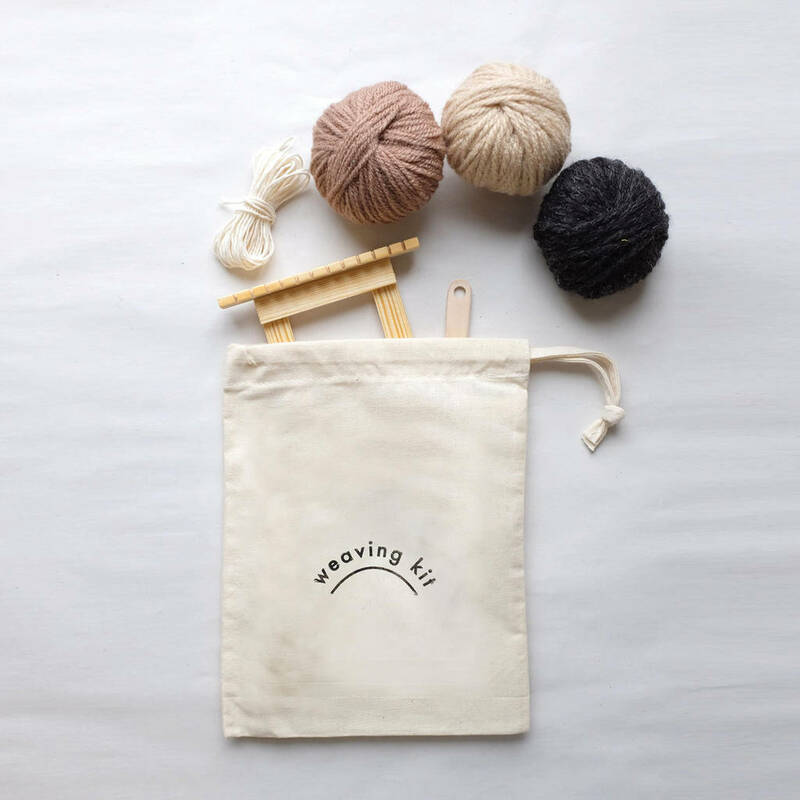 "Lucy's Weaving Kit". Please note that scissors are not included. 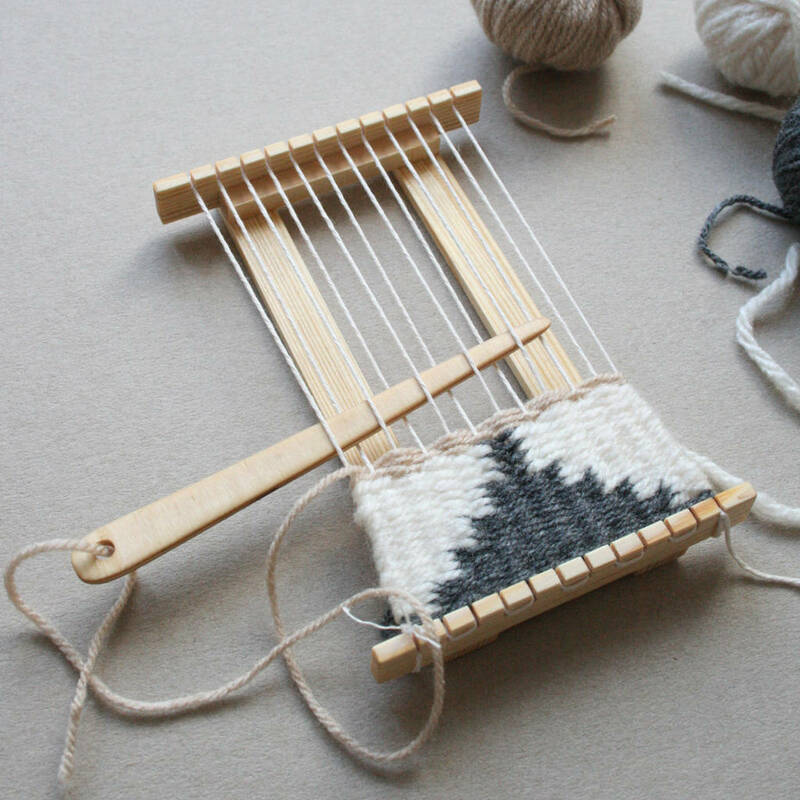 Weaving Loom & Tools made from wood Printed Bag 100% Cotton Wool 100% Acrylic. This product is dispatched to you by The Squid Ink Company.